While Visual Unlimited's Online Services have a global reach, our computer repair, house calls, and Business I.T. services stay local to the Hampton Roads area of Virginia. 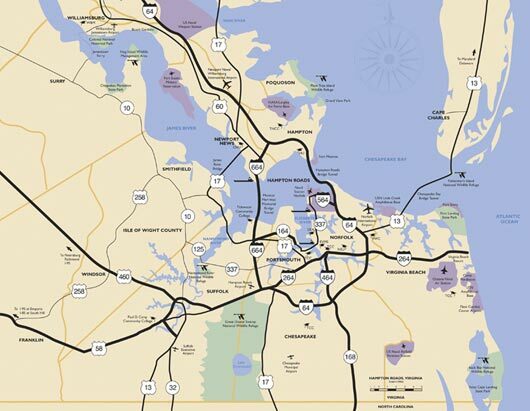 We proudly Serve the citites of Newport News, Hampton, Yorktown, Poquoson, Williamburg, Norfolk, Portsmouth, Suffolk, Surry. We also service as far south as North Eastern North Carolina, the Greater Richmond area, and the Eastern Shore.